It’s thirty seconds before the bell rings for class. Students are bouncing into my classroom. Instead of getting out material for class, I watch them take one more picture of themselves making a goofy face, a tongue-sticking-out face, or the ubiquitous duck face, and then send it off to a friend in another class. Sound familiar? If you teach high school it is. And I’m sure you can guess that in this scenario students are sending funny pictures of themselves through the app Snapchat. But what if Snapchat was the material for class? This was the question I explored during a Twelfth Night and The Adventures of Huckleberry Finn activity, and it was inspired by one of my students who suggested using the app in the first place. While reading William Shakespeare’s comedy Twelfth Night, students usually gripe that the play isn’t funny. My goal for the students was to experience the comedy in Act II, scene iii, a hilarious over-the-top party scene. Knowing regular questions on a piece of paper would not get the job done, I turned to Snapchat. As a result, we reviewed the scene and had some good laughs. Create two creative frozen stage pictures where you and your group “act out” what is happening in your assigned lines. You should really be looking to display the low comedy in this scene. The bigger and more over-exaggerated the better! Think about who is standing, sitting, doubled-over, on the ground, slumped, singing, dancing, yelling, etc. Think about the emotions the characters in your scene are experiencing. Get into your stage pictures and then literally TAKE a picture with your phone in Snapchat. Decorate your stage pictures in Snapchat by clicking the pencil icon on the top right to draw, the T icon on the top right to type, or the emoji icon on the bottom to add pictures. Include details that you imagine would be in the scene: setting, props, etc. BE CREATIVE and accurate! Save your stage pictures to your camera reel by pressing the save icon on the bottom left. Open your camera reel, click on your stage pictures, and then tap the share button to email me your stage pictures. Find a quote to represent each stage picture and be able to explain the quote and how it relates to the stage picture. Present on the Smartboard and be prepared to defend your choices. In Kayla, Ryley, Will and Nat’s stage picture, you can actually feel the energy and fun of this raucous party scene where Sir Toby, Sir Andrew, The Fool, and Maria disturb the straight-laced Malvolio. In this scene, Simran, Iza, Rachel, and Gabrianna got even more creative with Snapchat by drawing in props that they imagine would be in the scene when Malvolio rebukes the revelers. What I loved about this activity was that students were up and moving and interacting with the text in a physical way. 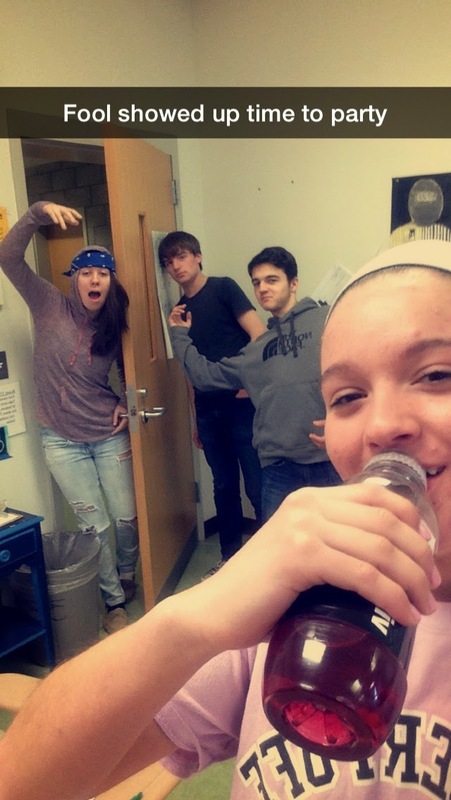 When I did the same activity with my sophomores to review The Adventures of Huckleberry Finn, some students were exploring different locations in the school to find the perfect setting for their photo op. I also loved that they were having fun. Shakespeare (and Twain!) can be dense and challenging for students, but that doesn’t mean that class has to be tedious and mundane in order to check for understanding. In order to improve this activity, I will likely give a time limit next time because some groups were done quickly while other groups stretched out the activity to the end of class. Though Snapchat can sometimes have a reputation of allowing our teens to disseminate irrelevant, silly, or even provocative pictures, I wanted to show my students the positive uses for this app, and how it can ultimately aid in their learning. Overall, Snapchat provided me with a good visual to peer inside the heads of readers, check for understanding, and springboard our discussion. 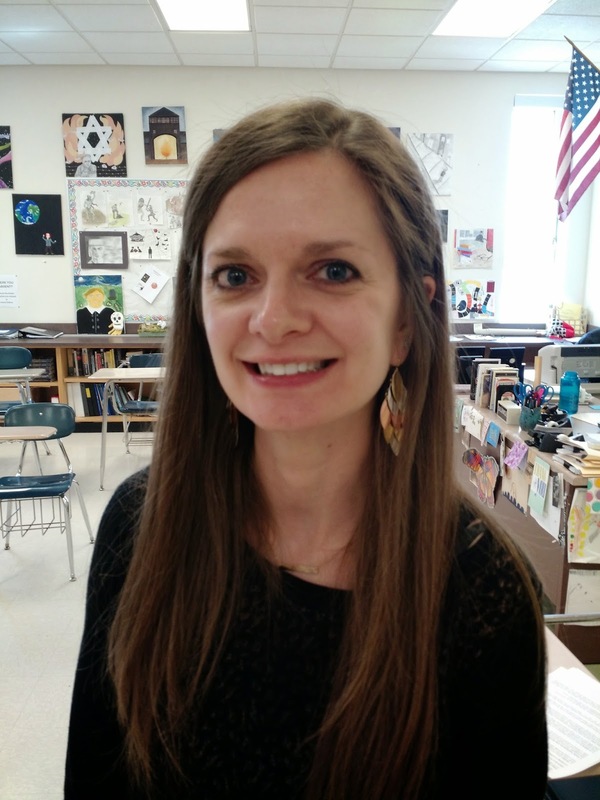 Leia Richardson is an English teacher at Reading Memorial High School who also teaches an extra-curricular playwriting class and is the advisor to The Doctor Who Club. She is passionate about emphasizing “the arts” in The English Language Arts curriculum. In addition to reading and writing, students are encouraged to act, sing, dance, draw, and even do yoga in her classes. Click photo to learn more!